This month our Pro Spotlight is focused on Tisdel Distributing and their amazing new showroom in Mason, Ohio. Choosing appliances is one of the most exciting parts of designing and building a custom home. Tisdel Distributing understands buyers’ excitement and helps them make the very best choices for their new kitchens. Tisdel Distributing brings Sub-Zero, Wolf and Cove products from the manufacturers to local appliance dealers. 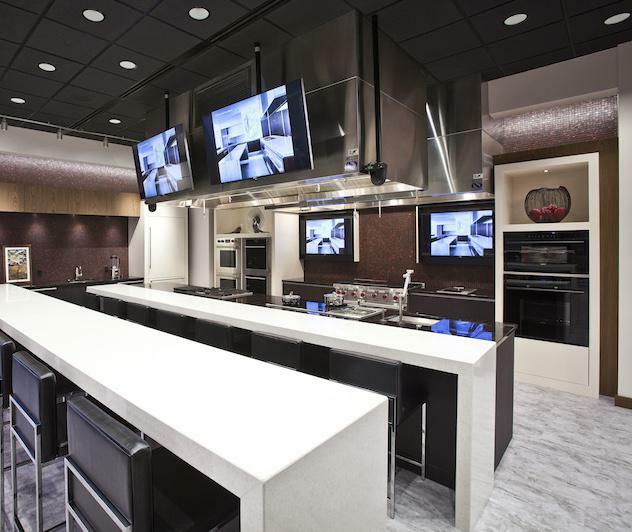 Tisdel’s new showroom in Mason is a mecca for everyone who loves to cook…. or eat! It is a showroom you need to see to believe. “The Mason showroom displays over 200 appliances to inspire you during the project selection process,” says a sales manager at Tisdel in a recent interview. Buyers can see and touch all the latest models from these three manufacturers in a spacious, relaxed setting. Homeowners don’t purchase items at the showroom, instead, the showroom’s staff aids in making selections and passes the homeowners’ preferences on to dealers in the area. Of course, taste is another important sense involved with kitchen appliances. Tisdel regularly hosts dinners featuring cooking demonstrations by culinary expert Amy Tobin. Amy puts the appliances through their paces in the demo area and explains how the special functions elevate the process of food storage and preparation. The Tisdel staff makes sure you won’t be thirsty, either, with wine tastings or a cup of expertly brewed coffee. Along with these appliances, you’ll tap into state-of-the-art technology. Sub-Zero is the food preservation authority, Wolf the cooking expert, and the new Cove dishwasher delivers superior cleaning, according to Tisdel. A fully staffed customer service department at the factory in Madison, Wisconsin, is available to answer questions 24/7. What’s New with Custom Home Appliances? While the showroom offers the latest in appliance design trends, quality never goes out of style. 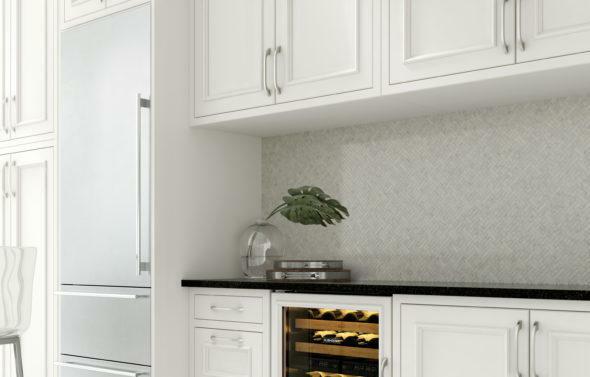 “We encourage customizing your kitchen to suit your lifestyle,” says the sales manager. Custom home owners might consider adding Sub-Zero Wine preservation, a Wolf coffee system or a Wolf convection steam oven for healthy “steam” cooking. Whatever your lifestyle or cooking preferences, a Tisdel representative can walk you through the decision-making process. Finally, the sales manager offers this advice: “Don’t compromise on value. 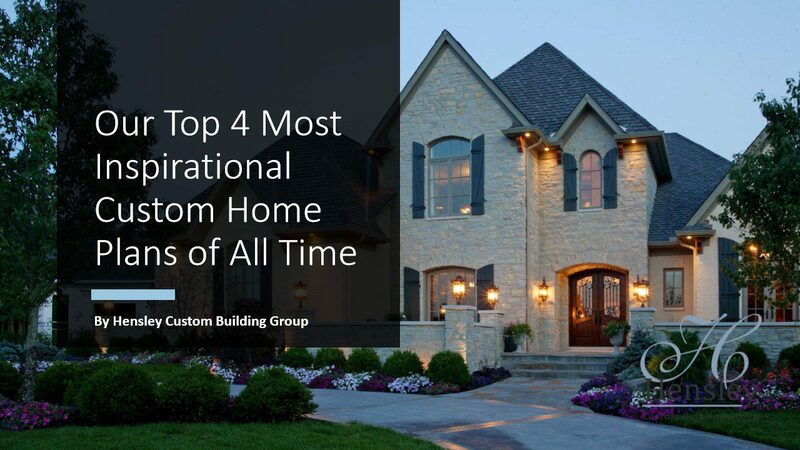 In partnering with Hensley Homes, we have a common goal of delivering superior quality and complete customer satisfaction.” The Sub-Zero, Wolf and Cove products deliver in terms of value for the long-run. “You will own the finest products the appliance industry has to offer,” she says. In addition, these appliances are backed with top-notch support. To learn more visit Tisdel Distributing’s website or visit their showroom at 7177 Central Parke Blvd. in Mason.